Is it possible to cheat in Bless Online? 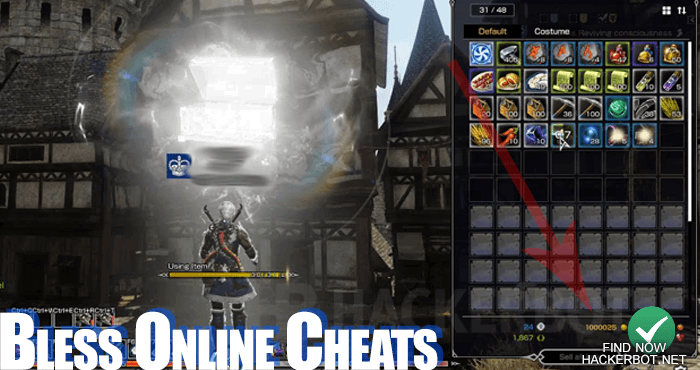 Yes, cheating is possible in Bless Online on PC using hacks and scripts to change game mechanics and automatically farm to get essentially unlimited free lumena, gold, pvp and dungeon currency. However, hacking lumena, money, skins and unlocks directly is not possible, since Bless Online is an online multiplayer game and your savegame is safely stored on the Neowiz game servers which cannot be modded or hacked in any way. 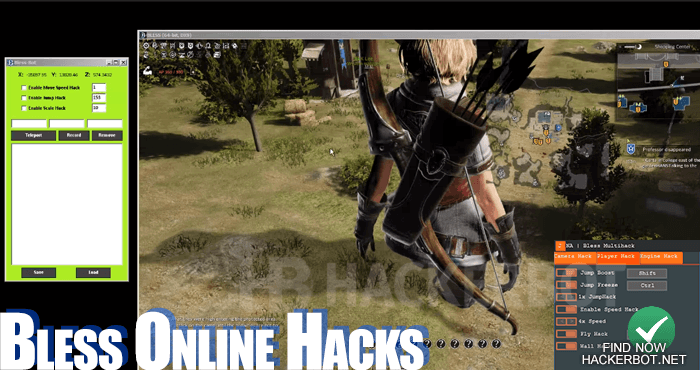 As in most MMORPGs, the use of hacks in Bless Online is a viable option for cheaters. Hacks and mods may be able to inject code into the game client and allow you to customize and changecertain game UI and mechanics in Bless Online. Among the possibilities may be speedhacks to speed up your characters movement, physics hacks that could allow for flying, super jumping, teleporting and more, dodging hacks that automatically teleport out of the way of damaging AoEs and abilities ect. However, hacks are by nature detectable if they become publicly available. So do be very careful when downloading any free Bless Online hack software from random websites. If you have free access to it, then so do the people that are trying to get you banned for using them. Private hacks are always the way to go if you want to keep your account. Also we do not recommend the use of hacks in PvP, since people will be likely to report you if they see anything weird happening. On top of that why would you take the risk of cheating in PvP, when the game can be played entirely in PvE where no one cares if you are using Bless Online hacks or not. Bots or scripts are without a doubt the most popular kind of cheat available for Bless Online. A bot is an automated software tools that is able to play aspects of the game for you. As an example, a bot is able to farm mobs for hours and hours, loot said mobs, sell items, navigate the map automatically, complete quests and a lot more. Essentially a bot is an easy way to skip the grind to max level in Bless Online. After you have reached the endgame, a bot can be used to farm for gold, lumena, complete daily milestones and quests, level up new characters and max out your gear more quickly. 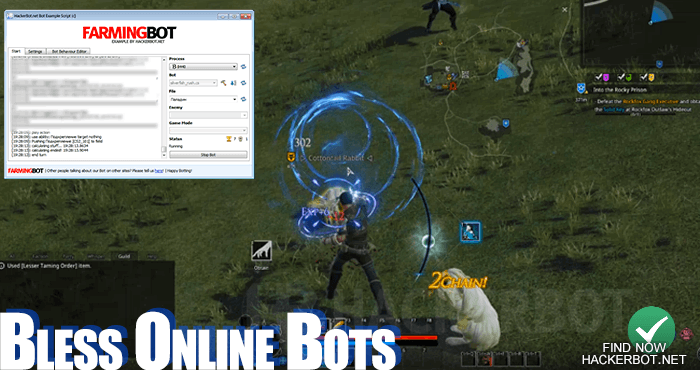 Bots are also useful in leveling professions, gathering materials ect in Bless Online. When it comes to where to download Bless Online bot software, you will mostly have to go with paid programs, since the complexity and maintenance that go into creating a Bless Online bot is far beyond what any volunteer offering free cheating software for download would be able to do. However, if you get your hands on a working Bless Online Bot, you will be able to farm free lumena through PvP currency and dungeon currency easily, level up and get lots of gold to spend on the auction house. Scripts and macros are another way of ‘cheating’ in Bless Online. While simple macros that are able to automate menuing and spell rotations, other button presses ect, are usually not considered cheating by most MMORPG players, the same is not true for scripts. While macros can be set up pretty easily using free software, such as macro recorder and an editors or AutoHotkey, scripts are more complex. Scripts are essentially macros that are able to react to game parameters. With other words they are very simple bots that read the game memory and are able to extract values. For example they can read your health and automatically trigger a healing ability if you are low on helath, making is easier for you to survive. Or a script may be able to charge up your archer snipe ability, scan for a target that can be oneshot and then automatically trigger the ability on them to get easy kills in group PvP. Overall, scripts can be extremely powerful, but are usually really hard to get and only used by the top PvP players. If you are looking to not get banned for cheating, and trust me, Neowiz do have the right to ban any players from their game for any reason, as they should, you are going to want to not use any free hacks that are publicly available. If you are going to use any kind of hack that injects code into the Bless Online game application, you are going to want to use a private hack. If you are going to use a bot, make sure you are not running on default settings, create / record your own loops and farming paths and make sure the bot NEVER gets stuck! People running into trees for hours is a dead giveaway for botting. So supervise your bots and edit your paths until they cannot get stuck. Only use bot software that allows you to create your own custom routines. Aside from that don’t be toxic, keep a low profile, be nice to your fellow players and spend money on the game to support the developers, even if you don’t have to. It always helps to have some good will, just in case you ever get caught.